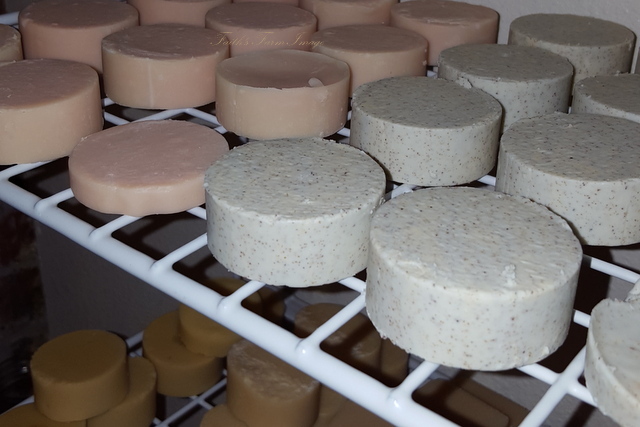 So I've been working on establishing some really good recipes for my goat milk soap. Maybe someday I'll be able to sell them. In the mean time, I get to try new things. I've scoured you tube for videos on how to make goat milk soap. Many recipes call for powdered goat milk. Uh... NO. I have goats that provide fresh milk every day. Why would I use powdered? I want to use the fresh or my own frozen stuff. Then there's recipes that use water and goat milk for the liquid. Hmmm... I really want goat milk to be one of the top three ingredients in my soap. If I label it as goat milk soap then by golly I want it to have more than a trace of goat milk. After all, I have goats that provide fresh milk daily. 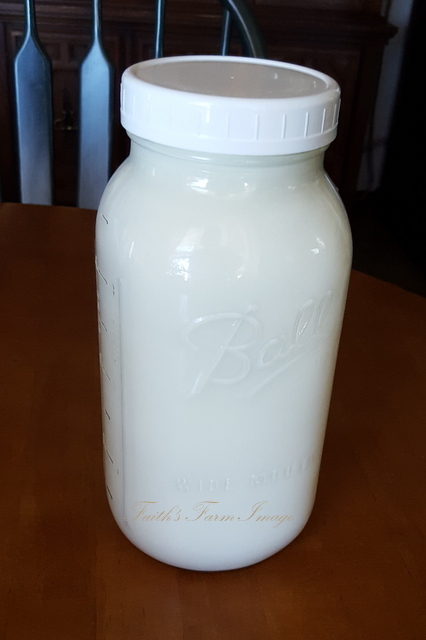 Most recipes and "how-to's" on the internet have you freeze the goat milk before adding the lye in order to keep the milk from scorching. Nobody wants burnt milk in their soap. As I contemplated this process over the several batches that I've made, I started wondering if all the fat in the goat milk was being saponified by the lye in this early step. That sorta reduces the availability of the goat milk properties for conditioning. Well, I have these goats that provide fresh milk daily and while I could take a goat milk bath and realize all the wonderful benefits. Y'all would be missing out. I began to wonder how would I use a partial water recipe to make sure all the lye was dissolved before adding it to the oil and milk. Well, that meant I needed to find out how much fat, protein, and solids are in the milk that I'm using. There's not a lot of information easily available on the component make up of goat milk but I was able to find that on average goat milk is made up of about 87% water. Now, my girls are on milk test and I know how much fat and protein they are making. Therefore, I was able to substitute a few numbers and realized that my girls have milk that is approximately 85% water and 15% fat/protein/solids. Yes, they've got more fat in their milk that the average dairy goat. And, that's why I chose this breed. Armed with that information, I began to rework my soap recipes. After several hours of video watching aided by what I've already learned in the several batches previously made, I've decided to try a new method. I've recalculated some numbers, modified some steps, and am now ready to try the modifications. I'll keep you posted.